This morning, I spent my reading time with Elizabeth Scalia, one of my favorite authors, devouring the opening pages of her new book Little Sins Mean a Lot: Kicking Our Bads Habits Before They Kick Us. 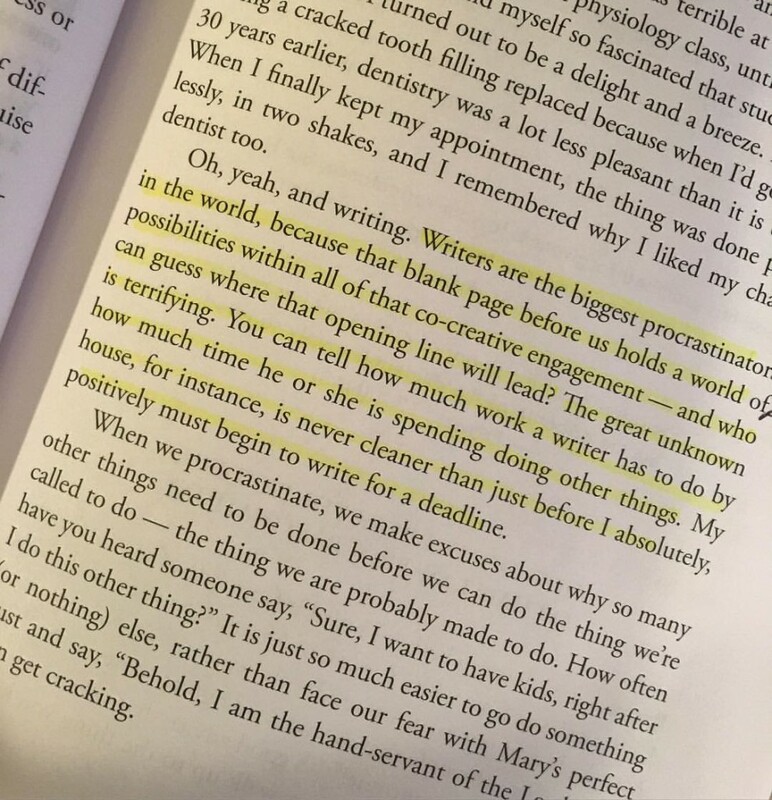 I'll save my full review of the book for when I finish it, but I had to just write a few words about the book's opening chapter on the little sin of PROCRASTINATION. Let me just say that Scalia had me nodding and highlighting from Page One of the introduction, but when I came across this little gem on Page 25 I was relatively sure my friend Lizzie had a spycam in my office! I am a queen procrastinator. And just about the only time I have an urge to clean anything is when I'm operating on a deadline. So I've already learned much from Elizabeth's first chapter that helps me identify the correlation between the "little sin" of procrastination and its cousin, the deadly sin of sloth. Look at the smaller parts. Wrapping your mind around writing 40,000 words when you can barely eek out 140 characters is a daunting task. As a result, I break my projects into chapters and then even smaller subsections within chapters. Much of my work (with the exception of Chime Travelers) is written out of chronological order. When the mind refuses to wrap itself around the whole, it's easier to examine the small parts and to make more effective use of the little chunks of time that are scattered through my days. Find a fresh view from my office. Friends who follow me on social media know that I rarely work in my actual office. I'm on the road a lot. And even when I'm in my hometown, I often work in unusual places like my treehouse or laundry room (yes, seriously). For the start of a big writing project, I typically go to one of three work "offices" that fill me with a particular energy that's needed to launch a new project. On an average day, if I'm feeling "blocked" in some way, finding a new "office" usually does the trick to bust the procrastination slump. 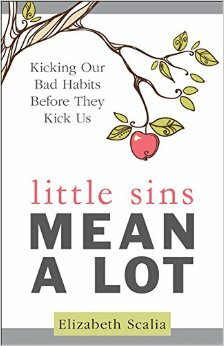 I can't wait to learn more as I work my way through Little Sins Mean a Lot! If you have struggled with procrastination and have come out victorious, I'd love to hear your tips and tricks in the combox below or on my Facebook page.